The above was exclaimed by the Mr when we decided that a trip up the coast to Craster for some freshly smoked kippers would be a good idea. Hey it’s June, maybe summer’s on it’s way…… or so we thought. More on that later. Toon Lunch Club field trip time! 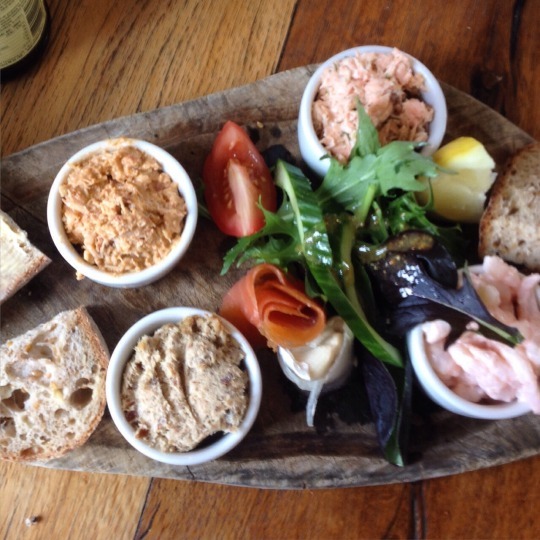 We had settled on David Whitehead’s The Jolly Fisherman as we had almost but not quite eaten there last year, having just missed the 3pm lunch order cut off (it was an extremely lazy Sunday….!) Getting there in plenty time today, we were surprised at how busy it was for a term time Monday. 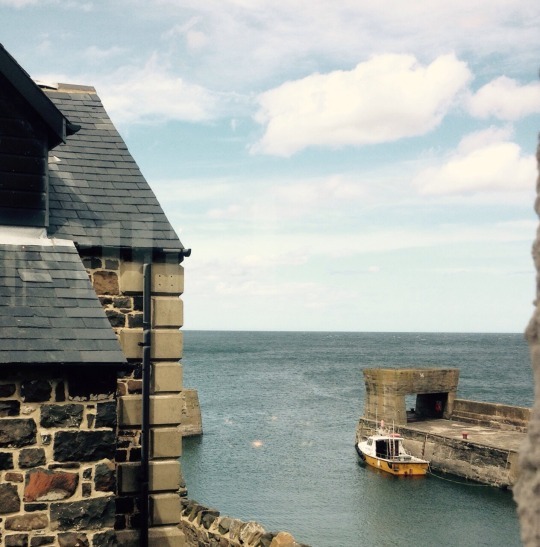 Silly us, it’s a popular little place with locals and tourists alike heading there for good locally sourced grub, Craster crab and their infamous kipper pâté. The beautiful uninterupted views of the Northumberland coast and Dunstanburgh castle from most of the tables are also undoubtably a draw. Despite arriving in the middle of the lunchtime rush we were quickly seated by a slightly flustered waiter, who helped us up the few steps to our table with the pram. Ordering at the bar my husband observed that table service would have been welcome considering the queue in the narrow space by the bar. Returning with our drinks my glass had lipstick marks on it but was promptly swapped for a clean glass by a passing waiter. The food arrived within a reasonable wait, and was pretty epic I must admit. The 3 pots of seafood were a delight. 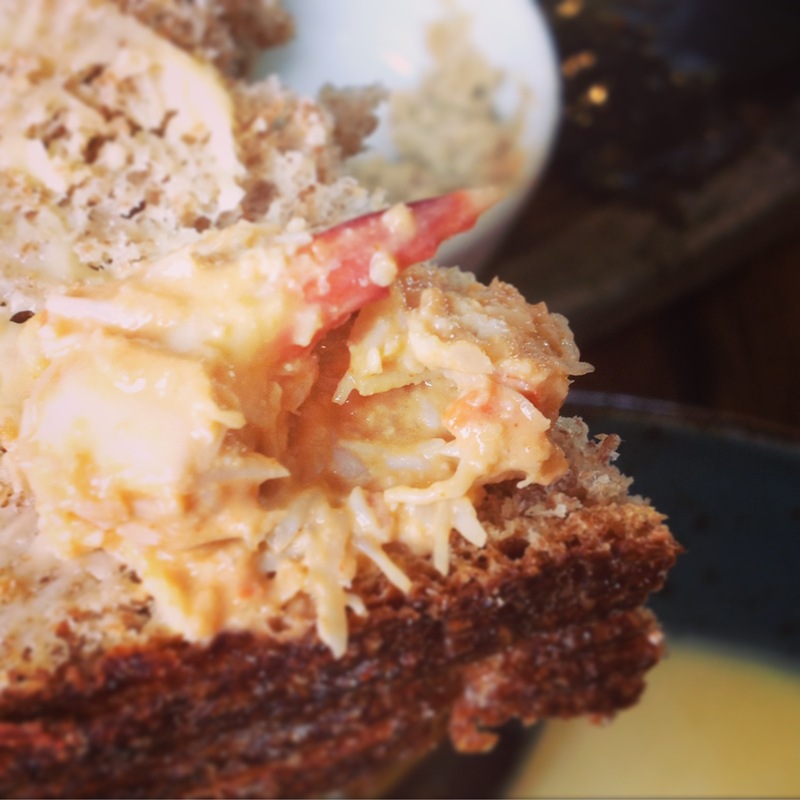 Perfectly flavoured and seasoned, the crab had big chunks in it and the kipper was everything we’d hoped for – smoky, salty and flaky. The prawns were in a light Marie Rose sauce and were a good size and consistency, and the fresh salmon pot was slightly overshadowed by it’s crab and kipper cousins but still a tasty addition. Having tried what he thought was roll mop while visiting my family in Holland before (it was actually raw herring and onions that he’d tried, a local delicacy) my husband wasn’t keen but gave it a go. He was pleased that he had as the pickled herring & onion tasted totally different (of course) and he is now a fan! The mussels were some of the best we’ve had for a good while; they were huge and cooked to perfection, no grit in sight and a lovely creamy sauce which unluckily for the Mister I had to have since he is lactose intolerant, oops! We ran out of bread but our waiter was happy to bring us another plateful. I think we had a mixture of sourdough and wholemeal from The Running Fox in Felton, somewhere I keep hearing good things about and am dying to visit! Following lunch we popped into the smokehouse over the road, the woodsmoke from which permeates the air over Craster and bought a couple of lovely kippers for breakfast. The Mister now satisfied we went for a walk along the rocky coastline towards Dunstanburgh castle, with himself balancing dangerously close to the water’s edge for some photos “of the spray” – me and little dude, who was enjoying his view from the comfort of his ergobaby sling, were a little more sensible and stayed inland. Unfortunately the changeable North East heavens opened and started to pelt us with freezing cold rain so we legged it back to the car, as me and LD had hoods but the Mr was in a very trendy little jacket that was anything but waterproof. 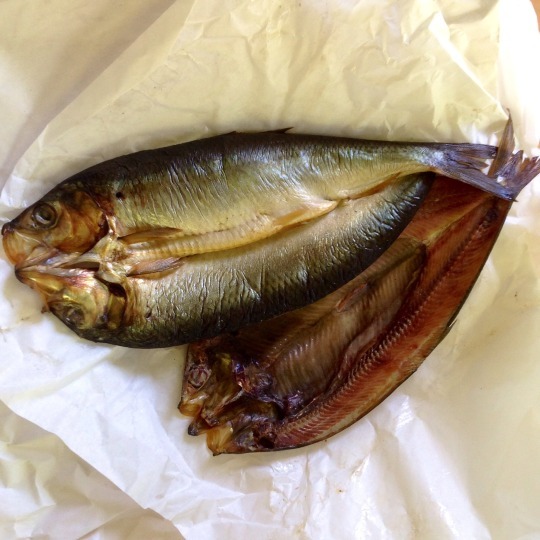 All in all a successful trip to the Northumberland coast, and we got the all important kippers! The reference in the header is from which classic British sitcom? Answers on a postcard…!